There is no question that we all need to eat healthier and frequent our local farmers markets and produce stands so we can consume fresh fruits and vegetables. The following paragraph is from the latest government dietary guidelines. We hear these questions below all the time. a produce vendor uses at farmers markets? 3. 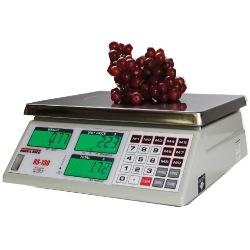 Is digital better than an old mechanical hanging dial scale? If you’re curious or new to the farmer’s market or produce stand business and need a legal for trade scale for weighing apples, potatoes, tomatoes, pumpkins, strawberries, squash and more; scroll down because we have answers to many of your questions.